They say the best things come in small packages, and these awesome little machines are the proof in the pudding. What’s not to love about getting low down and dirty in a dinky dumper truck? Dumper truck racing is good honest salt of the earth fun and great for guys and gals alike. Ladies – why not prove that dumper trucks aren’t just for guys? Or treat your other half to a macho day out? Bring your mettle and get ready to rumble with these mini monsters that come with bucketfuls of grit and grrrr. Don’t expect any serene Sunday driving with air con and Radio 4. Weighing in at just over one tonne, these tiny tearaways punch well above their weight, serving up tonnes of torque and stacks of knockout fun. Experience compact control and show-stopping shenanigans in these dinky dumpers which are guaranteed to give you a muddy good day out. First and foremost, it’s fun. Secondly it’s easy peasy, even your Nan could do it (be afraid – she might just be there). With two joysticks to control your direction, you really don’t need to be Schumacher to master these mini machines. The controls are pretty simple. The real skill is keeping a lid on your competitive streak. It’s not just about speed – it’s about precision too, so you’ll need to call up all your cunning to complete the course penalty-free and in pole position. Guys – these are real JCB dumper trucks with all the macho trimmings. Four-wheel drive, tons of torque, roll cages, the lot. Girls – they’re seriously cute. You’ve probably seen their big brothers rumbling about on construction sites. These mini dumper trucks are the real McCoy with tractor tyres and JCB logos and hard hats – everything you’d expect from an earth-shovelling JCB, just in miniature, minus the wolf whistling. If you’ve never done anything like this before, it's a great introduction to the sport of kings. 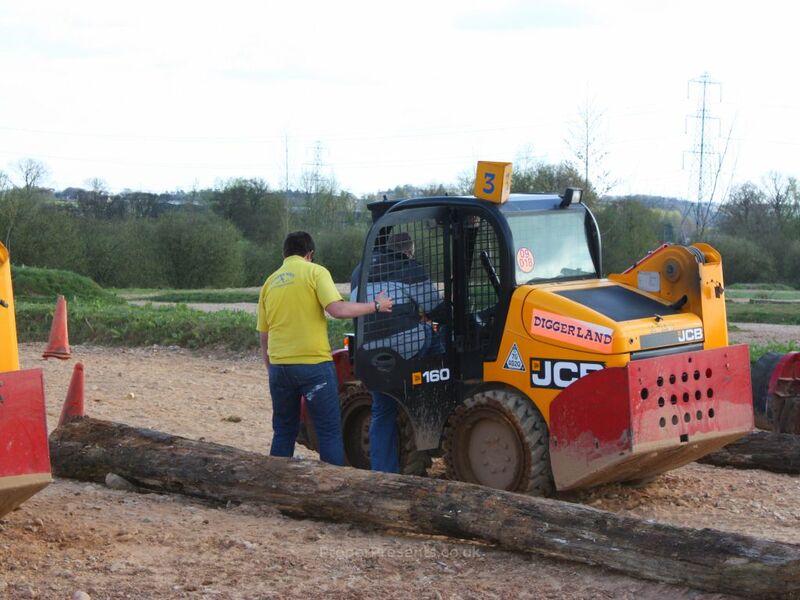 It’s easier to master Dumper Trucks than JCB Digger Racing as the machines are smaller and easier to manoeuvre. It’s cheaper too. But rest assured, there’s no compromise on fun. Dumper Truck Racing is all about full-on FUN in big shouty capitals. You can whip these little machines around in the mud with fingertip controls, get your foot down for a sprint finish and blast past the opposition. It’s the best fun you’ve ever had in a vehicle since you first stepped in a Dodgem. Just don’t try to ride dumpers like Dodgems because they don’t bounce. And they’re expensive (starting at around £20,000 each). And you’ll get in trouble. Anyway, down to business. Here’s what happens on the day. 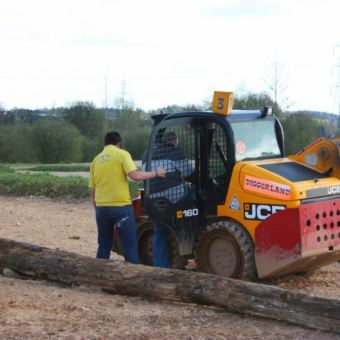 You’ll be entering Diggerland after hours so you can waltz in like a celeb while Joe Public is being shown out (cue smug grin). 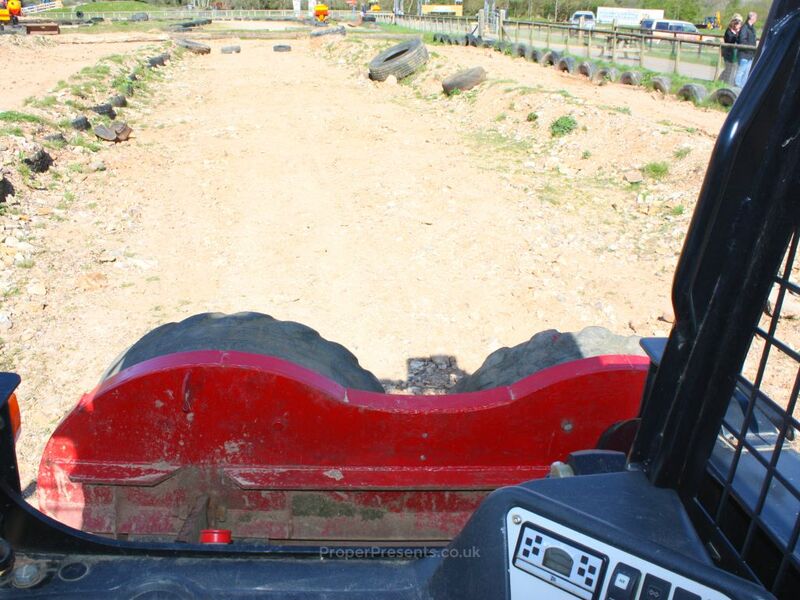 On arrival at the dumper racing enclosure you’ll get the chance to meet your instructors and check out your steed, so don’t be late – your adversaries will be doing the exact same thing. Give yourself the best advantage – get there on time and don’t give them an inch. 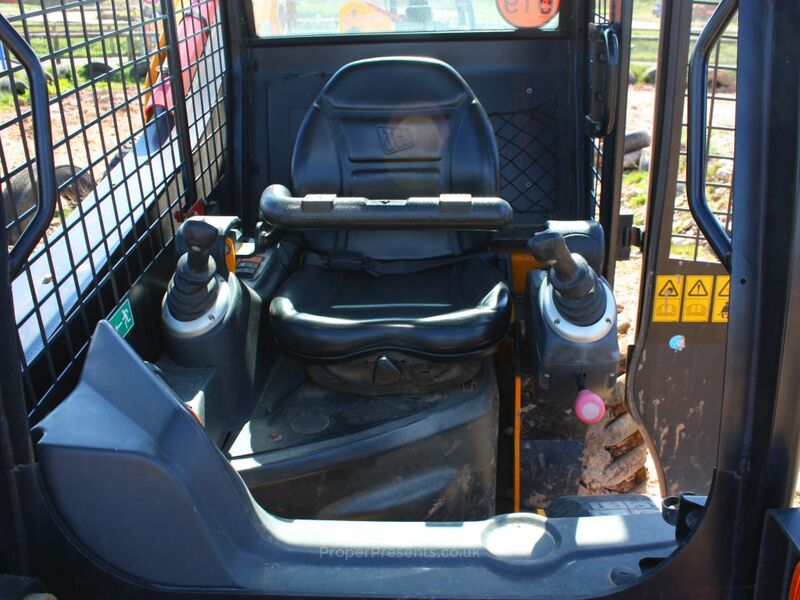 You’ll undergo a safety briefing and an introduction to dumper trucks, then it’s time to get kitted out – hard hats ‘n all – ready to get behind the wheel of your mighty machine. Your trusty steed for an evening of sheer stress-releasing truckin’ bliss is a JCB Robot, otherwise known as a Skid Steer Loader. These one tonne beasts happily shift dirt, blast up stupidly steep angles and haul heavy loads around from dawn ’til dusk. They might be tiny but they’re tough, true and tonnes of fun. What’s not to love? You need both speed and skill to become dumper truck racing champion. Once inside, your instructors will show you the ropes. They’re a patient lot who live, breathe and dream dumper trucks so listen up, pay attention and don’t be afraid to ask daft questions. Then, it’s time to get serious. You’ll split off into groups of 3 or 4 ready to face off for the first of two competitive heats. There’s no ‘I’ in team but there’s a ‘me’ if you look hard enough, so now’s the time to get selfish. 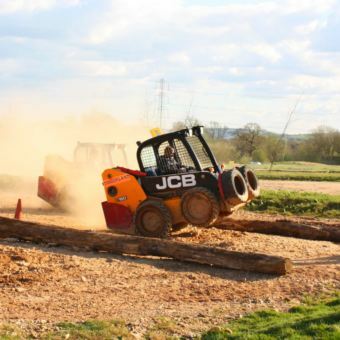 You’ll race around an obstacle course against the clock and against the other dumper drivers, and your aim is to get round penalty-free with a good enough qualifying time for the Grand Final. Grand it most certainly is, and there’s a certificate up for grabs as well as eternal bragging rights, so the pressure’s on. 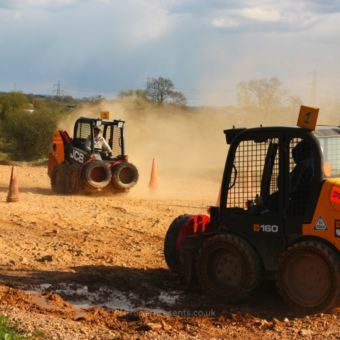 The end-to-end Dumper Truck Racing experience lasts for around two and a half hours. You should aim to get there around 30 minutes before your given time to make sure you arrive chilled and stress-free, minus any road rage. You’ll need a clear head and plenty of focus to make it through to the Grand Final, so give yourself plenty of time. WHEN: The experience usually takes place between May and October, typically once a month on Saturday evenings. 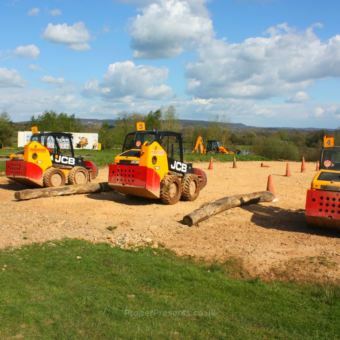 WHERE: Diggerland has four locations – Kent, Devon, Durham and Yorkshire – with dumper truck racing taking place at each location. 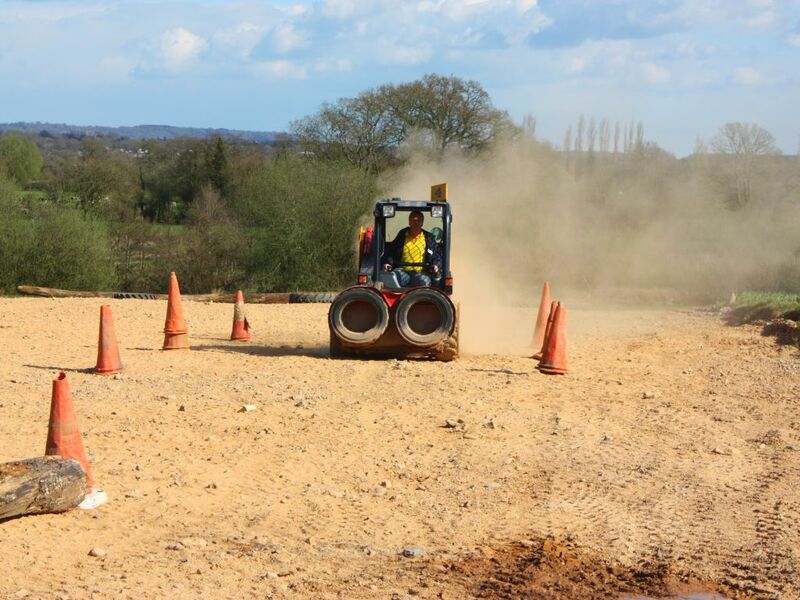 At Devon, Yorkshire and Kent, dumper racing is held on either a loose surfaced area or a grass field, while at Durham, it's on a tarmac surface. WHO: This is a great experience for anyone looking for a driving experience that's quirky and substantially different to those supercar racing days. 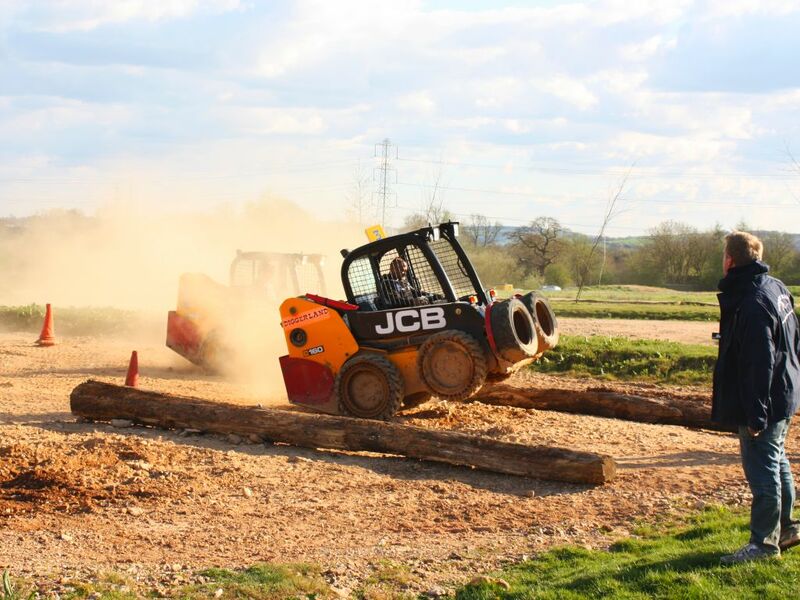 If the thought of racing a monster JCB digger scares you to the core, start with this pint-sized experience. OCCASIONS: This is a great birthday or Christmas present. It would probably go down far better as a Father's Day present than a Mother's Day gift. It's also a great choice for stag and hen dos. I tried out Dumper Truck Racing to see how it compares with the digger racing experience. 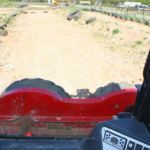 This experience uses skid-steer diggers instead of full-sized backhoe excavators and as Dumper Racing was the smaller scale sibling to Digger Racing, I was interested to see how much it differed – and whether it could deliver on thrills. Here I am getting into my dumper truck ready for the next race. This time I decided to compete with my father-in-law. For the months preceding the day we'd been psyching each other out so needless to say we were both hungry for a win, if only for bragging rights. 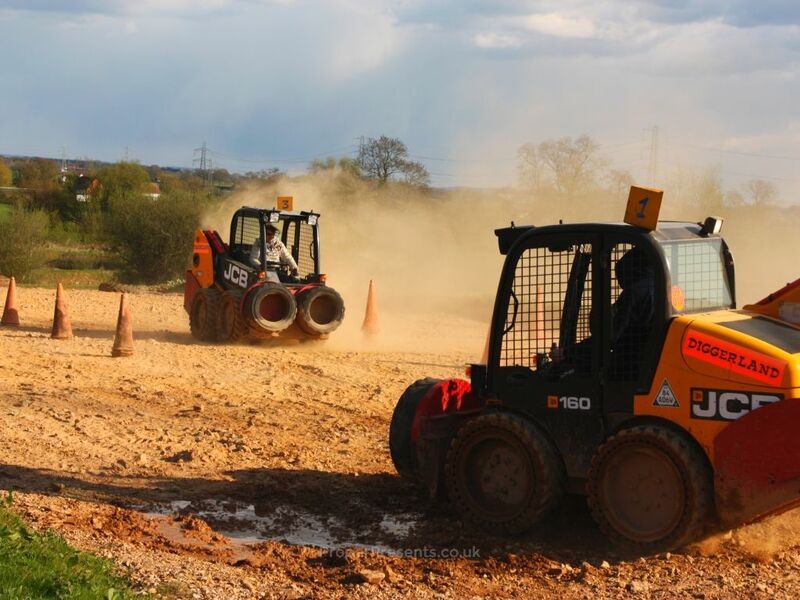 Armed with a competitive spirit and a sense of fun we headed down to Diggerland Cullompton in Devon to race dumper trucks on a Saturday evening. We arrived half an hour before the park closed (4.30pm) as directed on our experience day tickets. Despite fears of rain the weather was good to us, with strong sunshine and a breeze. The park near Willand in Devon was easy to find and was only around 6 miles from our hotel we had checked-into. It’s next door to the grand-looking Verbeer Manor. The park is signposted and the winding path leads to the reception desk. We checked-in swiftly and quickly and were asked if we wanted to race against each other (of course we did!). We were the third group to race, meaning we could watch some of the other competitors taking part beforehand and work out some tactics. In total there were 17 participants on the day; 80% male and 20% female. We were split into six groups of three and raced in heats. Our machines were JCB 160 skid steer robots, clocking in at a mere 2.3 metres in length, 1.3 metres in width, and 1.9 metres in height. This is definitely a dinky digger. A top speed of 6 miles per hour isn't fast, but this experience is a challenge of skill besides speed. 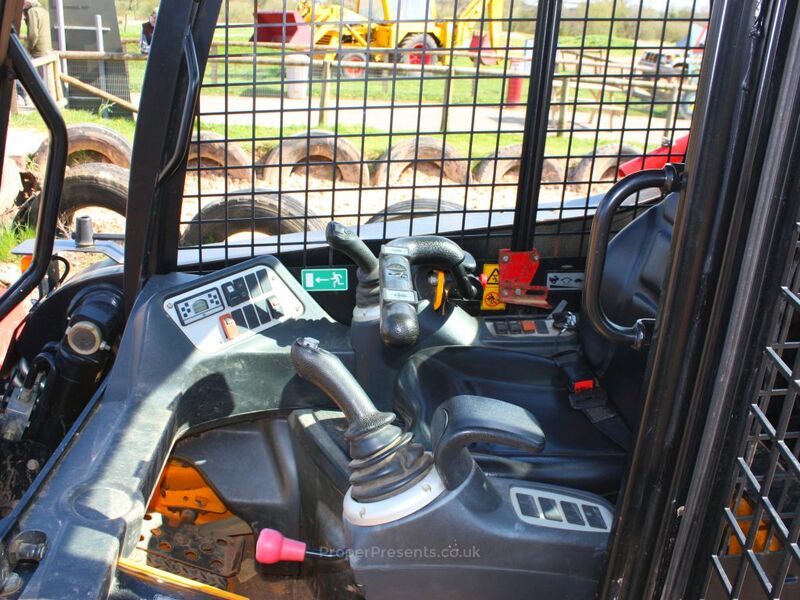 The bucket on the front of the skid steer was replaced with some old tyres for safety. In fact, these were the same skid steer diggers being used by the public earlier in the day, except that in this experience they had their speed limiters removed. After a quick safety brief / instruction lesson and an explanation of the scoring, it was time to race. The first race sounded simple enough. Race alongside a set of cones, turn around a large tyre at the end of the track and race back. The first race showed that even though this sounded simple, it was also easy to mess it up! 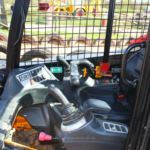 The skid steer robots were controlled by two levers – one on the left and one on the right. The left controlled the motion of the left-hand-side wheels and the right controlled the right-hand-side. To go forward both levers needed to be pushed forward. To pivot on the spot, one lever is pulled back and the other pushed forward. To turn slightly in motion, you ease off gently on the control that matches the same direction you wish to angle towards. All that sounds simple in theory but when it came to my turn, those simple directions flew straight out the roll cage protecting me. After the flag was dropped to start the race I over steered to the right causing me to face the embankment. To compensate I then over steered to the left. My father-in-law seemed to pick it up straight away and with a few glitches he managed to secure first place. Contestant three managed to drive up the embankment whilst I managed to zig-zag my way down and up the track, racking up a few penalty points. The second race was exactly the same again only this time we knew what to expect. This battle was closely fought with all three contestants in our race crossing the finish line in a photo finish. Contestant three won by a fraction, I came second (woo hoo, not last this time!) and my father-in-law brought up the rear, albeit marginally. It's very easy to find yourself pointing towards the sky in a dumper truck, especially when you apply full throttle. The third race introduced more complexity. This time we needed to weave in and out of the cones along the track, around the tyre and weave along the cones to race back. Despite my slow start I managed to keep up with the others though I clipped a cone along the way. Contestant three was speeding along whilst by the time we’d turned around the tyre both myself and my father-in-law were neck-and-neck. We both clipped cones on the way back but he managed to pip me to the post again. The fourth and final heat was more complex. This time we had to weave in and out - but in reverse. Looking over our shoulders we had to work out how best to navigate the course using the controls. Again, this one wasn’t my forte so as I had noticed the other two racing off when at the bottom of the course I decided to go for accuracy rather than speed, earning a few precious points! In the end neither myself or my father-in-law ranked high enough for a final head-to-head race. We scored 26 and 18 respectively but the best scoring participants scored as little as eight points! The final race was a photo finish too, as the best of the best raced weaving in and out of the cones with expert precision. Clearly it was possible to fuse speed and agility with precision and accuracy but I couldn’t find the right blend. My problem was that when I headed in the wrong direction I over-compensated losing speed and accuracy. Next time I might stand a better chance! Overall this two hour experience was great fun. I may not have won but I had fun trying. There was a mix of abilities in our group and whilst some had come to win, I think it was fair to say everyone came to have fun doing something different and quirky. It’s definitely something I’d do again and would say it’s a great introduction to digger racing. Try this first then try your hand at something bigger, faster and more extreme! 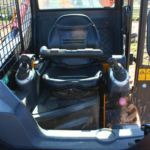 On the face of it, this looks like a really easy experience but it requires good hand-eye coordination to master the nippy skid-steer diggers. It’s highly competitive and the challenges add complexity with each round. It’s a great laugh and perfect for a fun day out, a stag or hen party, or just a fun family get-together. 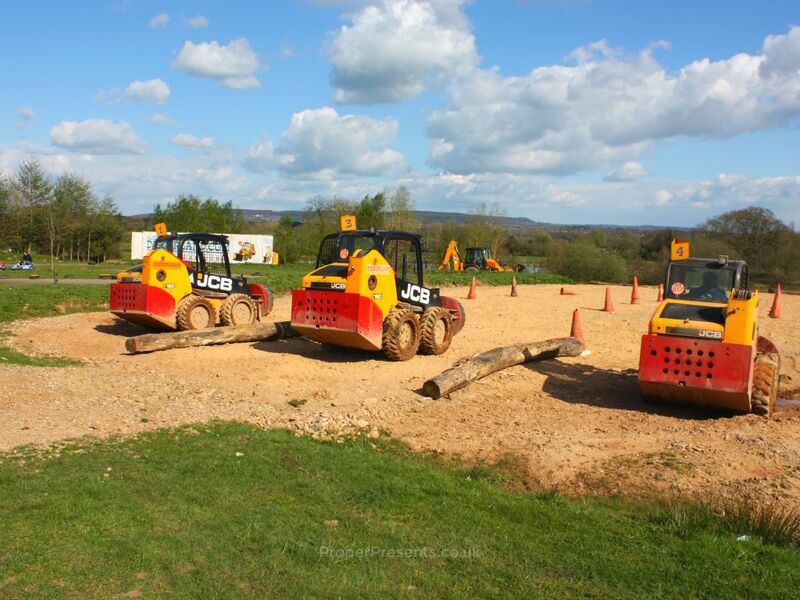 Disclosure: Diggerland supplied a pair of Digger Racing tickets at their Devon park. My opinions are my own.